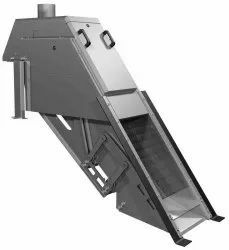 - For Solid Waste Removal from effluent channel feed. - In SS304 / SS316 in Standard Construction, Other options as required. To furnish the ever rising needs and desires of our customers, we have come up with a world class consignment of Cadmill Screen. Owing to their longer life, fine finish and ruggedness, these offered screens are broadly recommended. To add, our ability to alter these has made us a popular market choice. We are actively involved in providing an extensive range of Brass Filter Screen. Due to high demand, professionals develop these products in varied specifications that meet on client’s demand. The Screen is manufactured from perforated sheet in round, square or rectangular hole accompanied with or without Wire Mesh as per party specification. 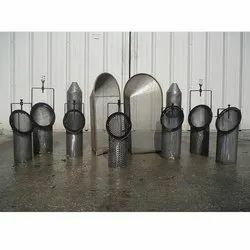 With our cutting edge technology, we offer to the clients finest quality Oliver Filter Screen. Oliver Filter Screen is extensively used for filtering out the mud from juice by means of vacuum suction. Supreme quality and durability are buzzwords that best define the range of Oliver Filter Screen we manufacture. - APPLICATION “Screenmat is a compact cleaned fine screening equipment used to prevent fine sized floating wastes from travelling further into the water and waste water treatment plants. -561 mm length, available from 0.5 mm to 25 mm hole diameter in perforation the sizes below 0.5 mm can be had in wire mesh design. These are available with complete set of Certificates. We offer to our clients superior quality of Filter Screen and filter cloth that is used in the compartments between filter plates and works as a screen between the input compartment & output compartment. These are used as compartments between filter plates and works by providing desired screening.